Outer covers are becoming more and more popular with our customers. An outer cover is beneficial for a number of reasons. Firstly it is made of high quality polyester, and this fabric comes with built in fire resistance to BS standards. Secondly, the cover can be washed and will not shrink so you can keep your yurt looking fresh all year round. 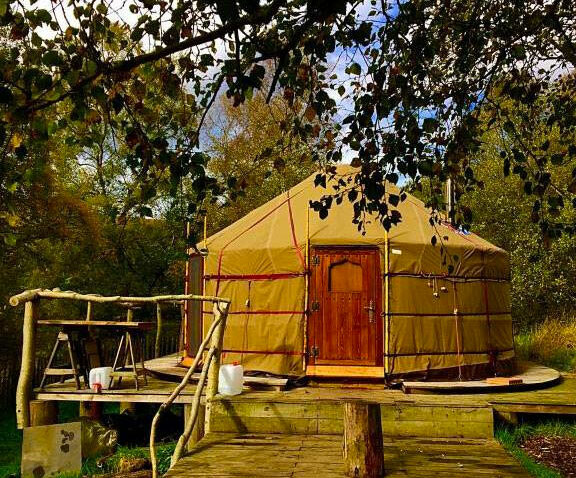 Another major advantage is the outer cover protects your yurt from the intense UV rays and prolongs the life of your canvas. Where wind is an issue these covers increase the wind protection no end. Finally, they simply look better, something we know our customers really care about. In addition, we can decorate them in the traditional patterns of Mongolia for added beauty. Please note in climates with high levels of sunshine (southern Europe) these covers will degrade and need replacing in 18-24 months.